Earlier this week I posted about several of the hoodies I made for my kids. 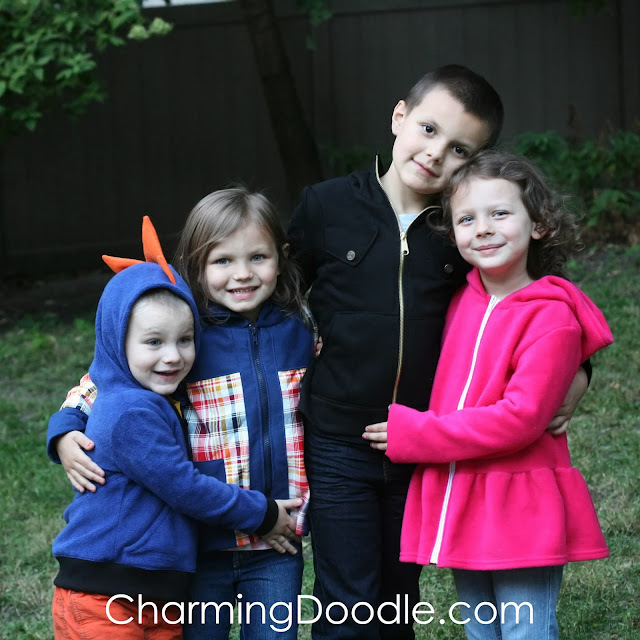 Using the same pattern, I made four completely different sweatshirts to fit each of my kiddo's unique styles. 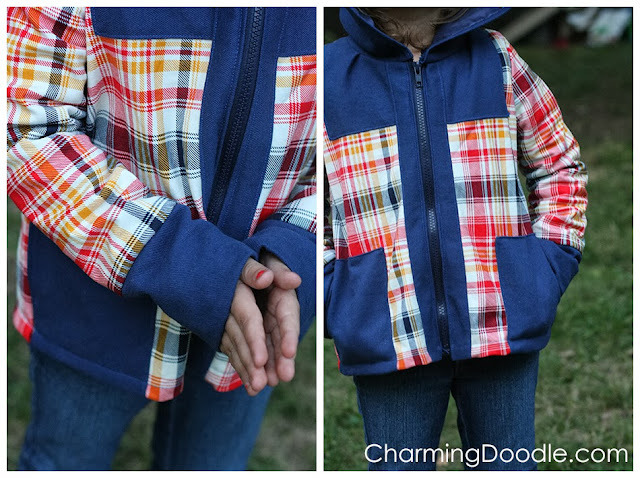 For my 4 year old, Isa, I made an Anthropologie inspired coat. 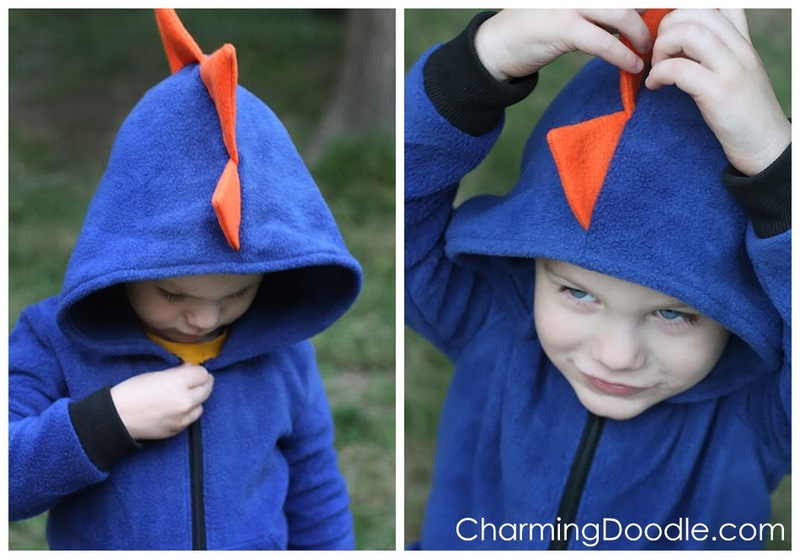 My 2 year old, Henry, got a dinosaur hoodie (complete with the roars and sound effects when he wears it). And last, but not least, I made a pink, ruffly sweatshirt for my 5 year old, Emerald. 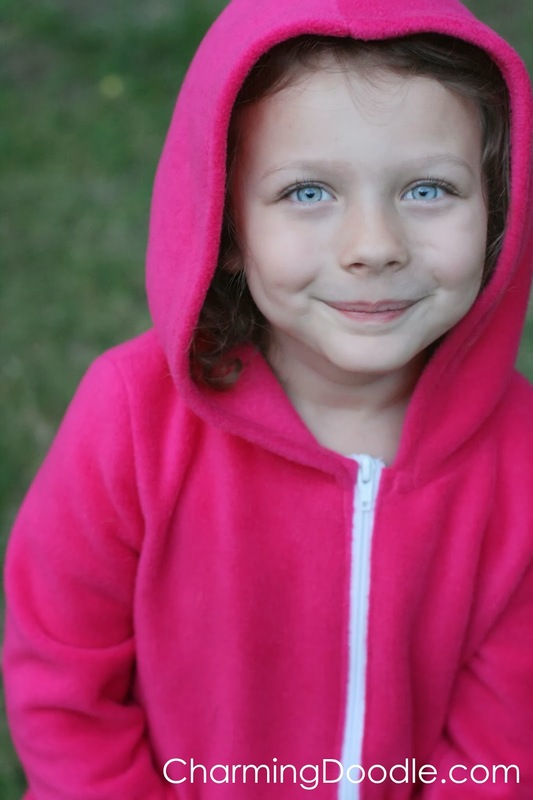 This girl loves anything pink and it was the easiest of the sweatshirts I made. I purchased some pre-ruffled fleece where the ruffle was on the bottom of the yardage and it was the perfect sized ruffle for this hoodie. I cut the pattern pieces out so that the ruffle would hit just above her hip and the beauty of the pre-ruffled fabric is that it was already hemmed. All I had to do was sew the shoulders and sides together, put the zipper in, and then the hood on. Done! 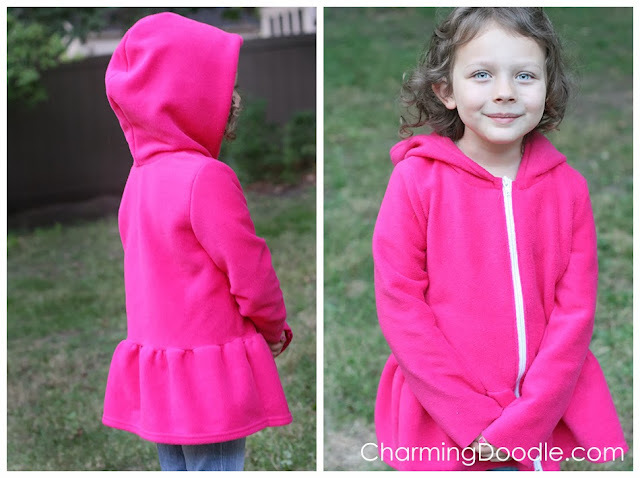 The fleece is marshmallow-y soft and the perfect thing for Emma to wear to school in the morning when it's cool. So there you have it! Four very different sweatshirts made from the same pattern. 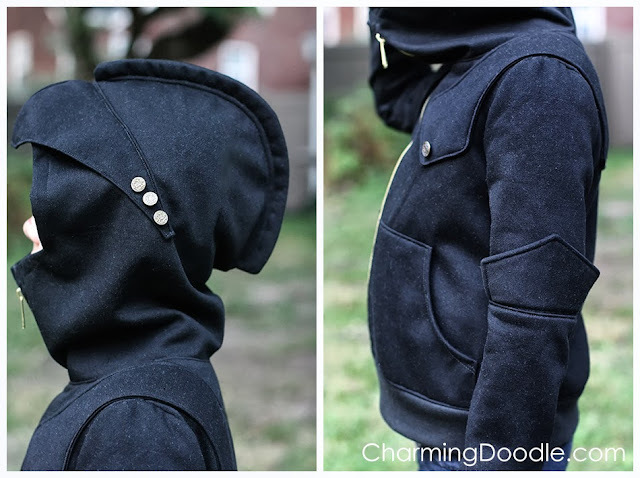 Have you made a hoodie this fall? I'd love to hear what pattern you have used and any special touches you've made to it! All four of these are super cute! My son would love that knight hoodie...and my daughter would go for the pink. And pre-ruffled fleece? I've never seen that before!! !